A video now shows the moment Davido arrived to his home in Lekki as a free man -ready to go back to making music after being released by the Lagos state police. 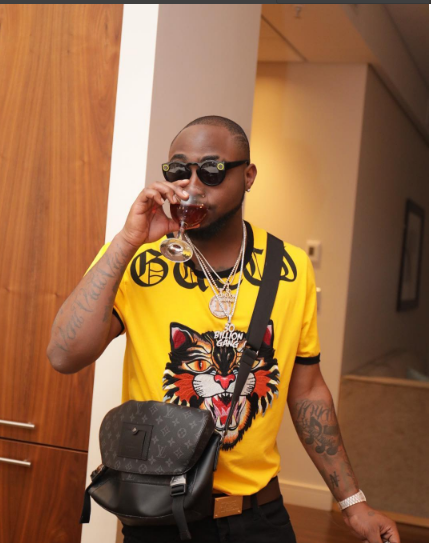 It was reported earlier that Davido has been cleared by the Police to go about his business after he made a statement at Panti absolving himself of any wrong doing in the demise of Tagbo Umeike. Yesterday, ‘IF’ crooner David Adeleke took to his Insta stories to thank everyone who prayed for him, revealing that he has forgiven every single person, media house or blog that accused him of having a hand in the demise of his late friend, Tagbo Umeike. The singer further stated that he’s ready to now go back to making music.